Cassette tapes/mixed tapes galore! We found so many tapes while cleaning our house since MG was a DJ back in his youngin days. Instead of throwing them out, I made a retro piece of wall art displayed in his work room (see last week’s post here). This was the first cassette tape project. 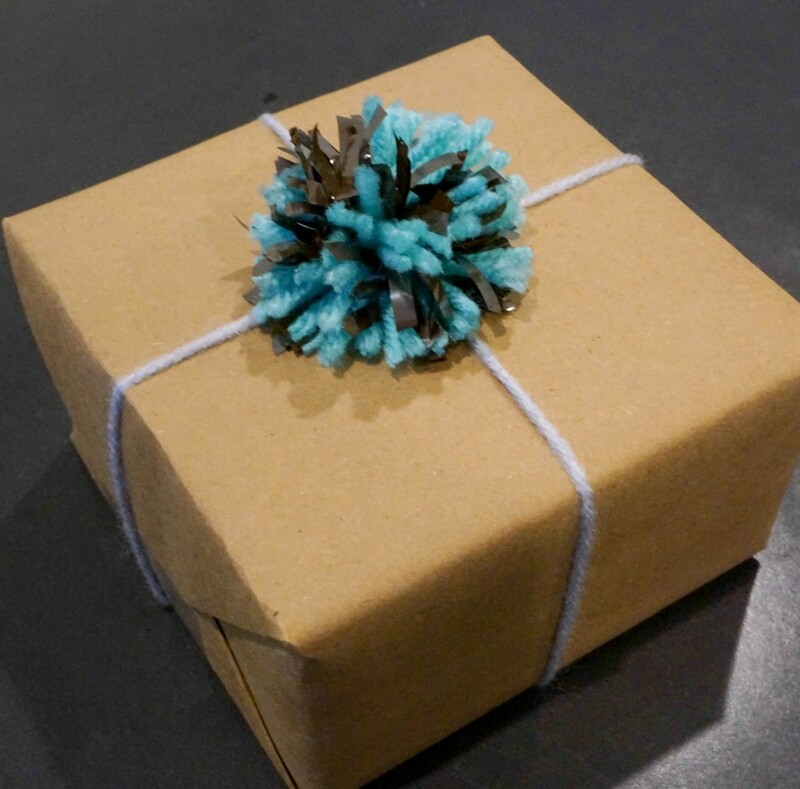 Now to continue our tape adventures, here’s a tutorial on how you can make cassette tape pom poms, perfect for gift wrapping and/or stringing them together to make a garland. 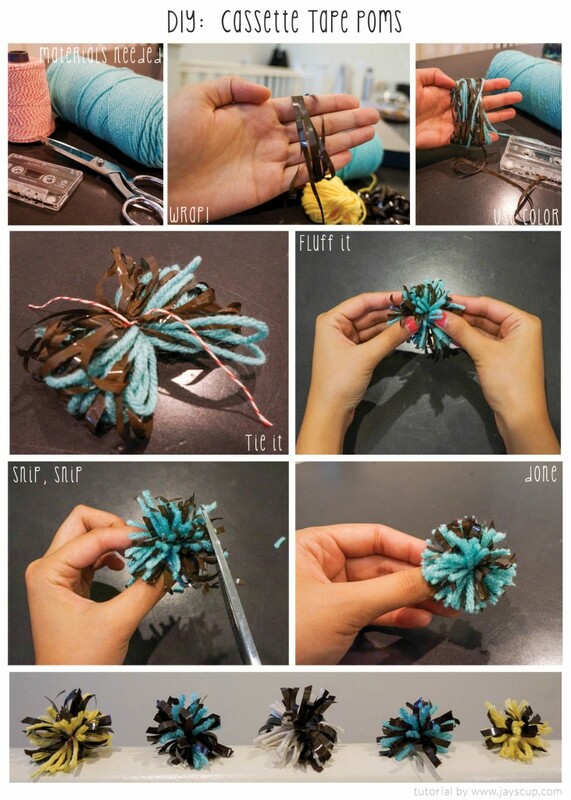 Pom poms are so cute and bring fun to pretty much everything. 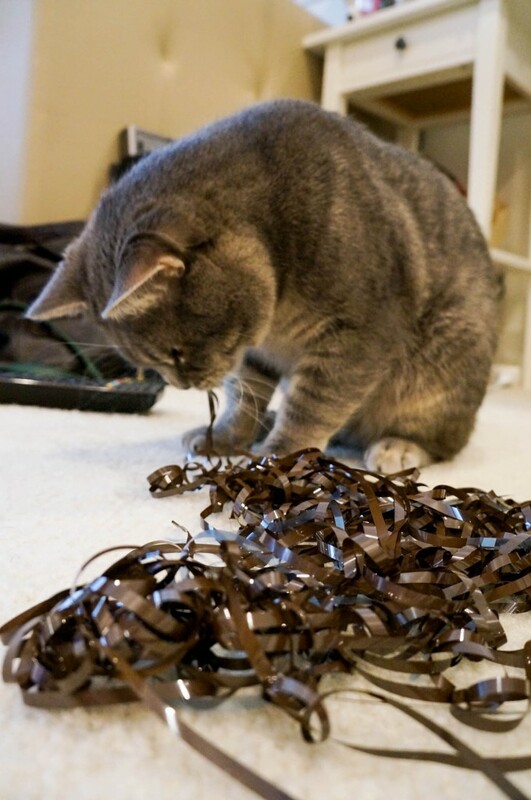 FYI: I found it difficult to pull out all the ribbon from the tape in the beginning because 1) it gets messy and tangled and 2) the cat does this. Instead just cut from the ribbon in the tape and wrap the ribbon directly from the tape around your fingers. 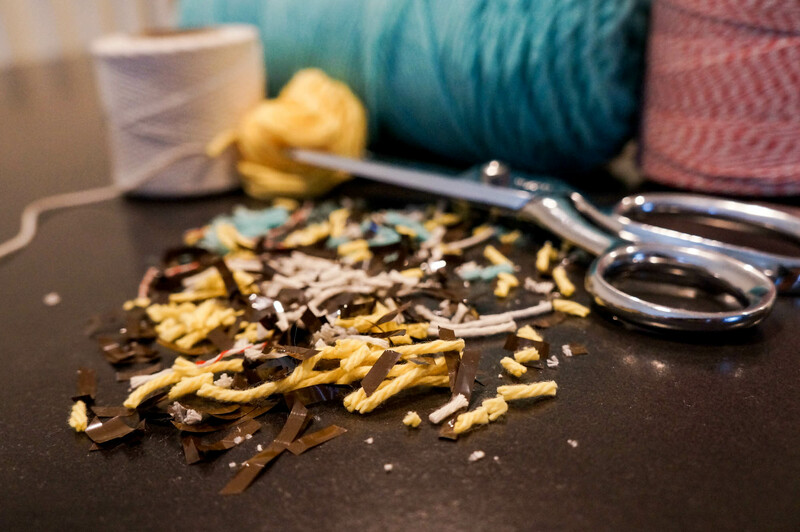 In between wrapping, add some color with yarn and string. Color possibilities are endless! The leftovers can be used as confetti (I’m a neat freak and at my house, no confetti. It went into the trash, but it looks pretty). 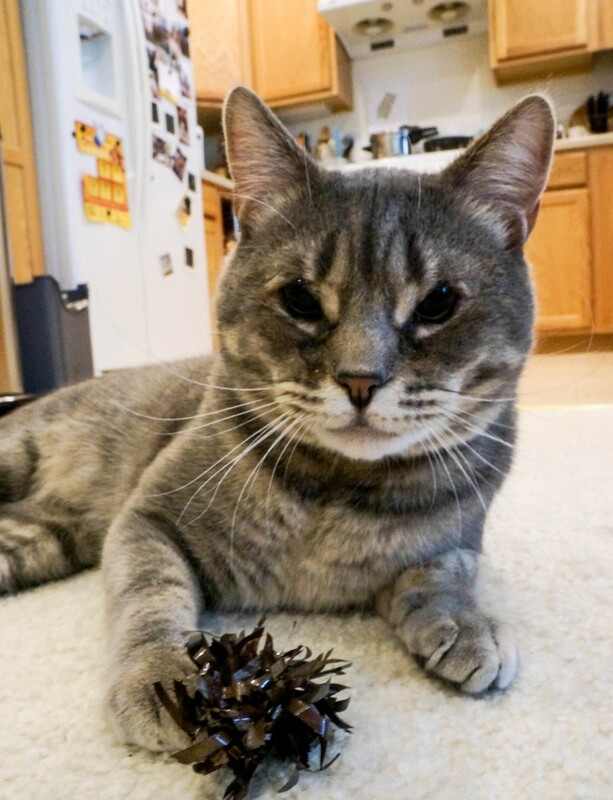 This entry was posted in DIY and tagged cassette, cassettetapes, cat, cattoy, chubs, diy, pom, pompoms, project, tapes, tutorial, wrap, wrapping. Bookmark the permalink. haha neat freak! you’d love glitter too, right?? Should I bring my confetti to your place for a party? but you cant vacuum glitter!